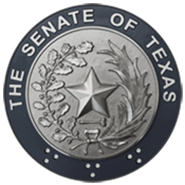 (AUSTIN) — Members of the Senate Nominations Committee subjected the governor's pick for the state's head election official to intense questioning at a hearing on Thursday. On January 25th, acting Secretary of State David Whitley issued a widely-publicized advisory to county election officials, saying his office had identified approximately 95,000 registered voters who matched a list of non-citizens generated by the Department of Public Safety, and that 58,000 of those may have cast ballots in previous elections. It went on to say that the list had been referred to the Attorney General because his office "has no statutory enforcement authority to investigate or prosecute alleged illegal activity in connection with an election." Soon after, the Secretary of State's office begin to notify counties that thousands of names may have been wrongly included. In Harris County, nearly 30,000 names were submitted for review, but Houston Senator Carol Alvarado said that number is down to nearly ten thousand, and county officials expect that number to shrink further. "The inaccuracy of this list has caused quite a burden on our counties," she said. "That's quite a gap from twenty-nine thousand to eleven thousand." Whitley characterized the action as "routine list maintenance", something required of him by law and only the start of a process to ensure the accuracy of the state voter rolls. County election officials began the process of notifying individuals named on the list residing in their jurisdiction that they had 30 days to prove citizenship or they would be removed from the list of registered voters. The list was generated by comparing citizenship records at DPS obtained when legally present non-citizens apply for a drivers license or state ID with the state elections database kept by the Secretary of State. Since immigrants who later become naturalized citizens aren't required to report that change in status to DPS, however, they could've remained in that database. Over the last 10 years, 7.1 million people have become naturalized citizens in America, according to U.S. Immigration and Citizenship Services. The press release from the Secretary of the State sparked outrage from those who considered it an attempt to strike legally registered citizens from voting rolls. Three federal lawsuits have been filed against the state alleging as much. Thursday, some members took issue with the wording of the release, specifically the sense of urgency and references to prosecution. Whitley told the committee that he referred the data to the Attorney General because they maintain a different set of data unavailable to his office. "If what you're doing is, as you suggest, trying to get the data in the hands of someone who could do something with it in terms of a 'maintenance activity', and you weren't at least attempting to create the appearance of illegal activity, then there's no reason or explanation for immediately referring ninety-five thousand people to the office of Attorney General," said Austin Senator Kirk Watson. "That could've waited until you had the verification of numbers." Committee Chair and Lakeway Senator Dawn Buckingham said she intends to hold a vote on Whitley's nomination on February 14. While a simple majority of four Senators would send the nomination to the full Senate, the state constitution requires that two-thirds of Senators vote in favor of confirmation.